Happy Birthday, Page McConnell! McConnell is best known as the mastermind behind the keyboard arsenal for the band Phish. With that being said, there’s much more to McConnell than his work with the Vermont jamband legends. 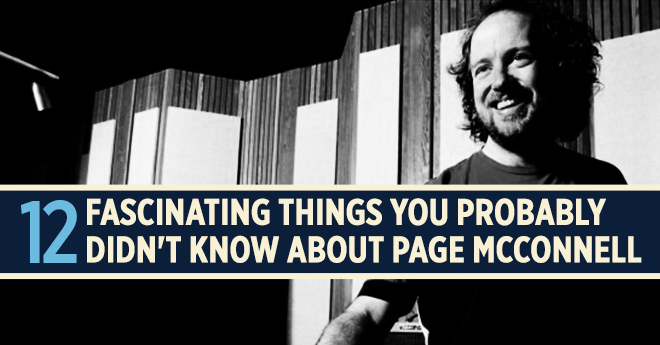 Here are things that you probably didn’t know about Page McConnell. 1. In 1997, Page McConnell played keyboards on the song “Good Feeling,” from the Scottish band Travis’ debut album of the same name. The album was produced by Steve Lillywhite, who also produced Phish’s album Billy Breathes in 1996. 2. Released on September 25, 2001, McConnell appeared on Tenacious D’s self-titled debut album. 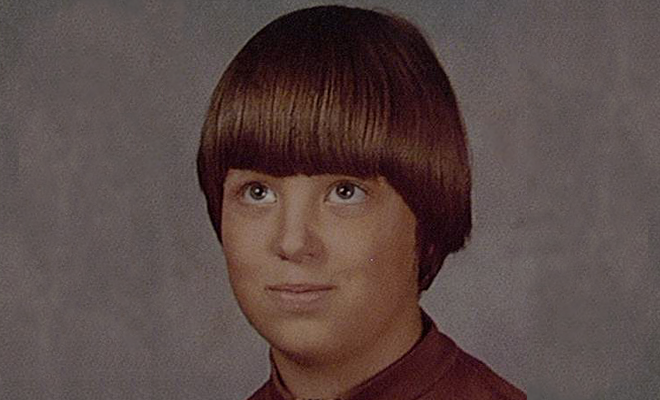 That same year, he joined Tenacious D on stage for a show at Vermont’s Higher Ground. 11 years later, McConnell returned to play with Tenacious D on their third album Rize of the Fenix, which was nominated for a Grammy Award for Best Comedy Album in 2013. 3. Page McConnell’s dad, Dr. Jack B. McConnell, worked at McNeil Laboratories and helped to develop Tylenol and the MRI. He’s also the founder of Volunteers in Medicine, the only national nonprofit dedicated to building a network of sustainable, free, primary health care clinics for the uninsured in local communities. Not only does Page’s dad save lives, he sings and dances too! 6. Page McConnell began playing the piano at the young age of four, though his teachers and mentors found it difficult for him to read music due to his dyslexic tendencies. At first, reading music was a challenge, but McConnell’s incredible ear helped him progress as an artist. Although not four years old in the photo below, we love this pic of a young Page! 7. In 2009, Page McConnell released an EP entitled Unsung Cities and Movies Never Heard. This album is a compilation of instrumental tunes that are meant to tell a story. When asked about the album, McConnell commented, “hopefully the listener might develop their own plot lines and imagine a storyboard… enjoy these soundtracks as they float through time, a sort of phantom foreshadowing of films that lay in waiting and cities that, after this release, might be a little less unsung.” The record was re-released on 10 inch colored vinyl exclusively for record store day, 2013. 8. Purchased through an estate sale in 2009, Page McConnell is now the owner of a Moog Liberation Keytar. This particular Moog Liberation Keytar was formerly owned by the legendary James Brown. The Moog Liberation is rare and unique because it only plays one note at a time, and cannot play chords. Although this instrument is difficult to handle and play, McConnell makes it look effortless. 9. 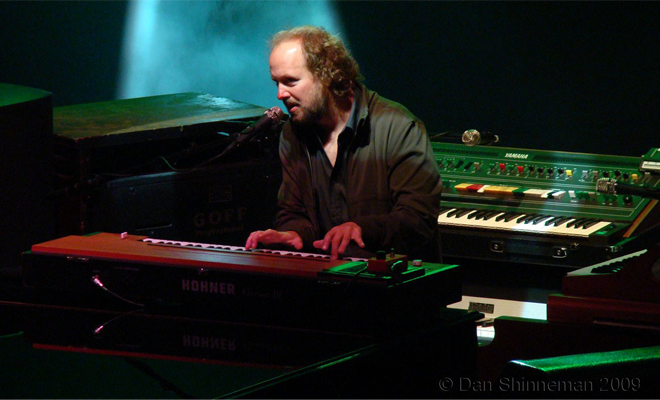 In 2001, while Phish was on a hiatus, McConnell joined forces with Allman Brother Band bassist Oteil Burbridge to from Vida Blue. That same year, McConnell launched Team Vida Blue, specializing in stock-car racing and demolition derby. A year later, McConnell and Burbridge would be joined by drummer Russell Batiste of The Meters, and their self-titled album Vida Blue, would be released by Elektra Records. 10. 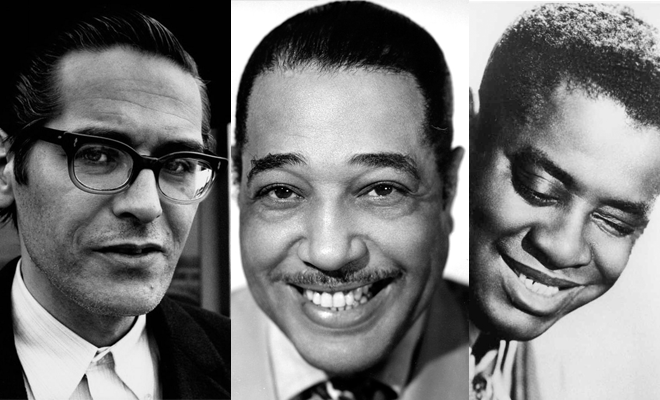 McConnell contributes his piano stylings to three major jazz influences, Bill Evans, Duke Ellington, and Art Tatum. Below is an except from Page’s senior thesis, The Art of Improvisation. 11. Page McConnell’s passion for jazz and rock began expanding drastically when he took lessons from Lar Duggan, a jazz pianist in Burlington, VT. Duggan helped McConnell progress in his improvisations, while helping him feel more comfortable playing the piano with both hands simultaneously, which McConnell saw as his biggest weakness. Within his hand progressions, McConnell found it easier to read music, and that his improvisations and playing became drastically easier. 12. First discovering them in his college years, McConnell wanted to dig deeper when it came to The Meter’s music. Although he had been a fan for quite some time, he didn’t play with them until 1998, when he joined the all-star lineup including Art Neville, George Porter Jr., Meter’s drummer Russell Batiste, and Phish’s own Mike Gordon for the Get You a Healin’ album. The album’s release went to benefit the New Orleans Musicians’ Clinic, which was founded by McConnell’s father, Dr. Jack McConnell. McConnell later went on to playing with the Meter Men during their 2012-2013 tour.